Tomorrow marks the last day of camp and it's bittersweet. IGGPPCamp has been so much fun so far and the activities have been great. 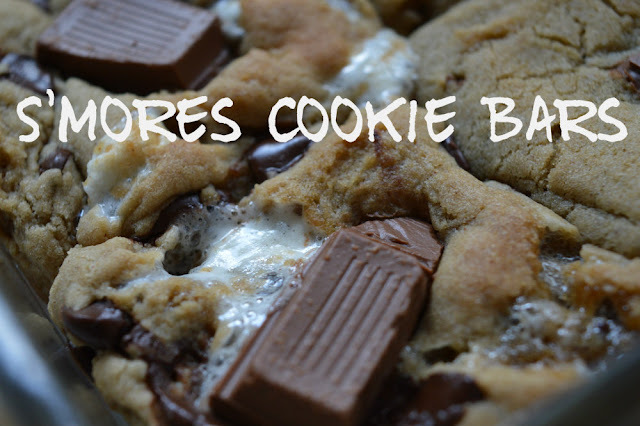 This past Saturday we had a bake-along and made S'mores Cookie Bars which turned out super yummy! I have to thank Danni for getting everything together and doing an awesome job hosting the live hangout! 2. Cream butter and sugars together and then add in vanilla and egg. 3. In a separate bowl sift flour, baking soda, salt, and cinnamon. 4. Mix the dry ingredients with the butter/sugar mixture. 5. 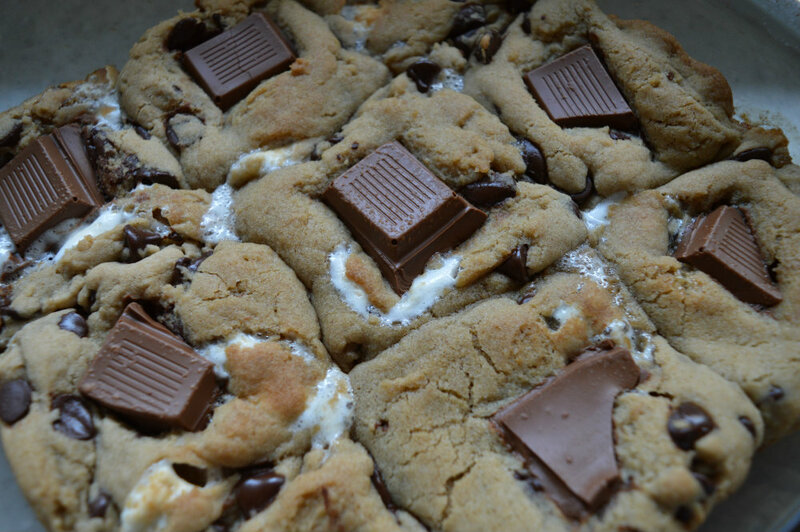 Stir in chocolate chips and marshmallows. 6. Lay out the graham crackers on the baking sheet to cover the whole pan. 7. Place balls of dough over the graham crackers. 8. Bake for 5 minutes. 9. 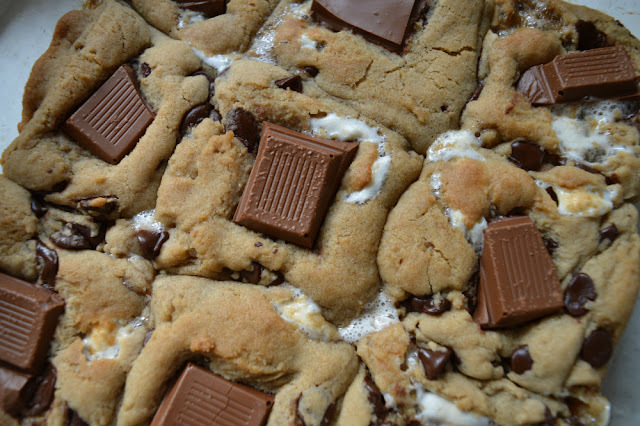 Press Hershey’s chunks into the cookie dough. Bake for 5-7 minutes more. 10. Wait until the pan is cool to cut into squares. 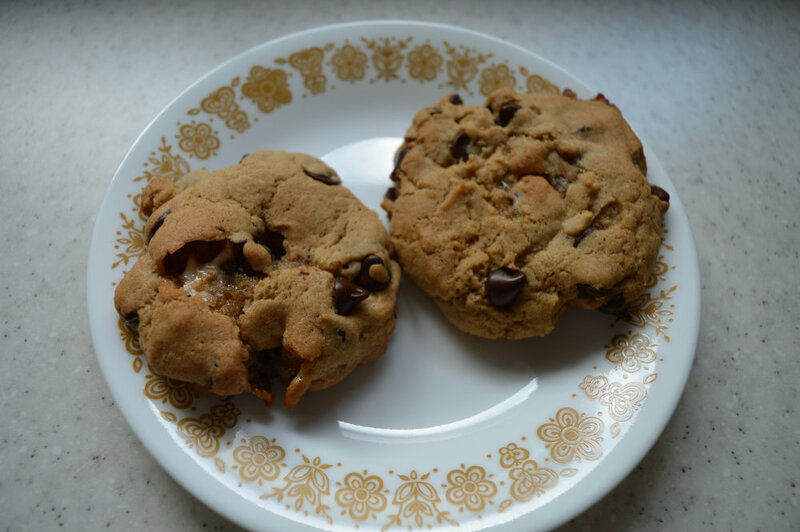 I had a bit of leftover cookie dough so I decided to make some regular cookies with it and, oh man, they're so good! 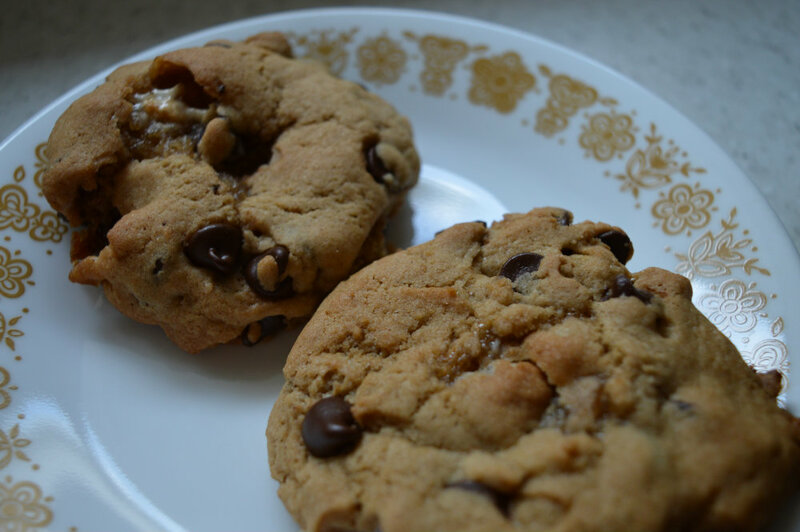 You can't go wrong with gooey marshmallows in a chocolate chip cookie. Remember, a lot of the camp activities can be done at any time! So even though tomorrow is the last day of camp, you can still enjoy all the videos, DIYs, and activities. Check out the schedule here. They're pretty good... I wish I could share with you!